You are here: Home / Astrology / The Gift of Chiron in Aries — a healthy, confident you! The Gift of Chiron in Aries — a healthy, confident you! Chiron in Aries possibilities. A healthy confident you. I had a huge (arms wide open) realization about myself, while ruminating on Chiron’s upcoming sign change! Lightbulbs! switched on while deliberating on the astrological symbols of Chiron and Aries. Tingles crept up my spine with awareness of how I came to respond to life as an adult. This practice of inquiry is a way to bring meaning and growth into my life. It is why I continue to write this blog, and, to improve writing skills and sometimes sharing a little bit about my own journey. 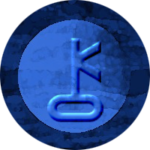 Mostly, at the moment, I enjoy providing resources and reasons why pursuit of meaning, through the language and symbolism of astrology, along with other materials, can help improve quality of life. More about my personal clarity at the end of this article, if you are interested. It feels somehow more significant when a celestial body leaves the last sign of the zodiac and begins a new round through the astrological wheel. Especially when it happens only once every 51 years. Did you know that Chiron was discovered in 1977? The last time it entered Aries, however, was in 1968. Back then a group of women were inspired to meet and talk about their bodies, how they learned about physical functions, and their experiences with the medical profession. 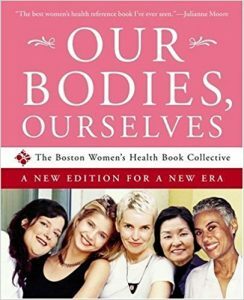 Then they wrote a break-through educational book, called Our Bodies, Ourselves which taught women factual scientific health information about their bodies. This was information not necessarily received at home, in schools or explained by doctors. This book had everything you needed to know about reproduction, health and sexuality. With pictures. Our Bodies, Ourselves encouraged women to take responsibility for their well-being. Eventually it was translated into many languages. Women’s groups all over the world used or adapted the material. I bought it as a young woman. It was an eye opener, for sure. There was a lot of information I had learned ‘on-the-fly’ and this book corrected or added to missing links in my knowledge. In the last couple of weeks, I heard on NPR, just as Chiron is returning to Aries, the book is not going to be updated anymore. Further research revealed, the organization, grown from the seeds of that book, are undergoing a big change. Their reorganization is scheduled to be completed days after Chiron temporarily leaves Aries in September. Read more. We might wonder what these next months will trigger for us as individuals? What kinds of Aries, identity, personality, physicality, passionate impulses on behalf of ourselves, are not expressed due to old energetic imprints from other lives and unintentional hurts from childhood. Can the influences on our neural pathways be re-patterned so we experience ourselves more fully? Of the keywords listed below, I’ve been reflecting on the Aries connection to the physical body, especially since hearing the news story about Our Bodies, Ourselves. It is truly amazing what humans can accomplish regardless of the condition of the body. Think Stephen Hawking. The body, in whatever shape, is still required. Our physical containers reflect our right to be here, to exist, no matter what the physique or condition. Wouldn’t we want it to be useful in the best possible way? What if Chiron in Aries offered more possibilities? Aries is also connected with our identity and instinct. It is the first zodiac sign. It’s the cry coming out of the womb. It is energy courageously insuring the next step, without engaging the mind. In astrology, it starts another go-around the wheel with an individualistic, physical and instinctual focus. Chiron instructs young Achilles. Ancient Roman fresco. Chiron is commonly known as the Wounded Healer. 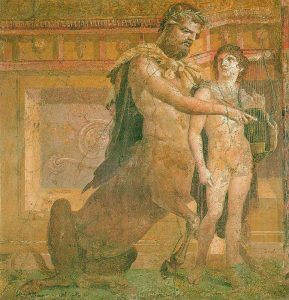 An immortal, born half-human and half-horse, Chiron, was traumatized emotionally early in childhood, when abandoned by his parents. As an adult, he received a physical wound, which would never heal and he would never be free of. Through his own journey, he became an expert in healing modalities as a physician, botanist, and shaman. Pam Younghans’ article in a 2016 TMA issue, “Chiron, Healing the Child Self” is terrific read. 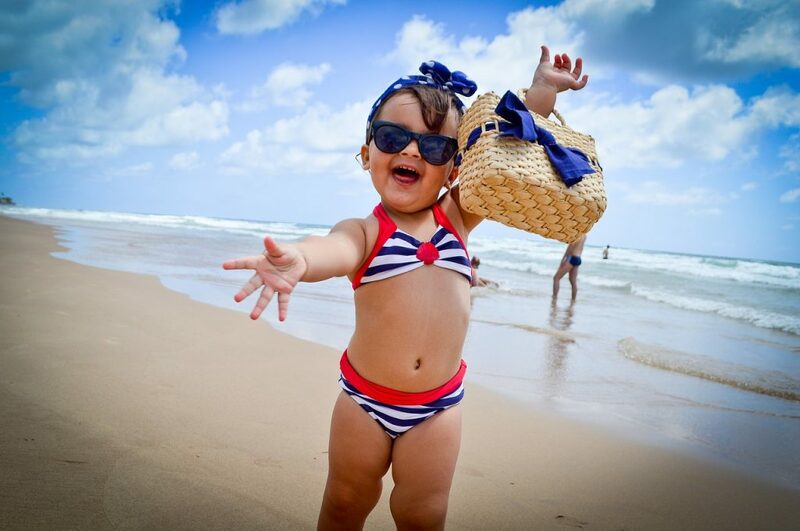 She emphasizes the signature of parental abandonment experienced along with the well-known physical wound. I’m especially interested in the Chiron’s connection to Shamanism, because this practice considers the physical body, but in a holistic way, one which includes the energetics of person. These shamanistic techniques involved engaging Nature and traveling through physical and non-physical realms to identify, connect and retrieve, for example, damaged parts of the Soul. These disconnected Soul parts may have been root cause of an illness or a way to shut the physical experience of trauma down like going into shock. Some shamans are born with their skills. Others are trained by other shamans. And some come by their gifts after experiencing a spontaneous initiation. This is when a traumatic event, (emotional, physical or spiritual) especially a close call with death, occurs followed by healing or at least survival of the incident. Because the sign Aries, symbolizes the physical body, Chiron’s upcoming personal approach, rather than collective Piscean one, since 2010, is well suited for healing the body and improving physical energy, using holistic, sacred, shamanistic principles. 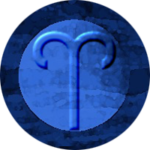 The instinctual side of Aries works better when ancient traumas, intentional or not, are released. The neural pathway wounds, which suppress the true expression of the Aries Self, can begin modification with help of a qualified shaman. When the body is working better and feeling better, self-image can improve. Shamanism is well suited for any sign Chiron travels in. During this five month introduction of Chiron in Aries, a look at Shamanism and the possibility of healing wounds of the body and expression of true identity may be a worthy action. As a synchronicity, through one of our new affiliate connections, Hay House, I learned about a free mini course about Shamanism taught by psychologist, medical anthropologist and best-selling author Alberto Villoldo, Ph.D. I had the opportunity to listen to a workshop several years back and was impressed with his capacity to understand both western medicine and the ways of the shaman healers. It led to many deep conversations and healing experiences with shamanism. Villoldo has worked with shamans around the world for decades. And what he’s learned from this work is that, while Western medicine is good at killing, burning and eradicating problems, it isn’t good at overall health and disease prevention. To create true health, one must look more holistically. One must look not just at a person’s body but at their energy as well. This is what shamans have done for centuries. During this free course he will look specifically at how shamans view health and lays out how this understanding of well-being can be combined with allopathic medicine that will allow you to create a health span that is equal to your life span. It feels, to me, like a perfect match for this Chiron in Aries cycle. What is Shamanic Energy Medicine? How shamans view health and how this understanding of well-being can be combined with allopathic medicine that will allow you to create a health span that is equal to your life span. Chiron is more relevant to you when it makes contact to important points in your horoscope/birth chart. A general feel for the overall area of influence, can be had by what house(s), Chiron will travel through while in Aries. Transits to the Angles (ASC, IC, DESC, MC), personal planets, and through progressions, can, as Melanie Reinhart describes, be experienced in symbolic, mythic ways, seemingly out of place in one’s ordinary life. One example she gives is the Aries who took up archery and horse riding during a Chiron transit. We might also experience discomfort based in the symbolism of the planet Chiron is contacting. Venus contact might be noticed as issues with self-worth or money either by us or in our significant relationships. Remember there is always a link back to where Chiron is placed in your own horoscope. 2. Values. Essential needs. Physical security. 3. Communication. Learning. Being heard. The sense of touch. 7. Partnerships. Being accepted and accepting others on equal terms. 9. Finding meaning. Right brain, beliefs, metaphysics, higher education. 10. Worldy Status/Contribution. Right profession. 11. Acceptance by community. Fulfilling dreams. 12. Connection to All That Is. Letting go of fear of the unknown. In Aries. April 17, 2018 – September 25, 2018. February 18, 2019 through 2026/2027. February 18, 2019 through 2026 Chiron fully in Aries. It takes Dwarf Planet, Chiron, almost 51 years to travel through all 12 zodiac signs. The last time Chiron entered Aries was in April 1968, 9 years before it was discovered in 1977. Its orbit intertwines between Saturn and Uranus. Because of this unique elliptical path Chiron does not stay in each sign for the same number of years. Pam Younghans wrote such an excellent article in February/March 2016 Issue of The Mountain Astrologer called “Chiron, Healing the Child Self”. Melanie Reinhart’s a classic titled, Chiron and the Healing Journey. For OPA members, Sharon Horn Hasan recently presented a lecture called “Chiron Ingress into Aries: Wound to the Right to Exist”. OPA membership, entitles you to attend astrology weekend lectures of all kinds for free. You might be able to get access to this recording by joining. Let them know Scorpio Moon Astrology sent you. If you got this far and happen to be interested in my realization, here’s more. I have tendency to DO a lot, to put a lot of energy into activities especially work. Paid or unpaid. If there is breathing room in my life, I will offer to help people with tasks I can do alone like on the computer, building websites or helping with technical issues. Or, I’ll write astrology articles. Or I’ll search for employment. Or I’ll move. My habitual behavior keeps me ‘busy.’ I can’t tell you how many people will say to me in a week… “if you are not too busy, will you?” Or “you are so busy.” I even say it without thinking. “I am SOOOOO busy.” And I feel busy. That word ‘busy’ is starting to annoy me. Better words might be engrossed, absorbed or engaged. Being ‘busy’ stops me from being lonely. Busy makes me tired. Even more telling, keeping ‘busy’ stops me from dealing with one (of many) of my most deepest darkest hidden and now public fears: people I love will leave me or die without providing me much notice or information about why. The lightbulb moment came from one of the resources listed above. This is why continuing to read and educate myself is so vital. As often happens in childhood, some events set the stage to re-imprint Chiron wounds. The details are too personal to share, but they are not out-of-the-ordinary. They happen all the time. What was out-of-ordinary (Chiron-like) was that many events converged in a short period of time. The potent astrology at the time, my chart’s sensitivities, revealed the unavoidable impact. Solar Arc Sun was in a tight conjunction to Chiron in Aquarius in the 11th house and Solar Arc Moon in Scorpio in a tight square to Chiron. Saturn was active, too, by Solar Arc exactly at my MC. My childhood was irrevocably altered. My mood and experience of life changed. The trauma signature of Aquarius and 11th house was activated. It was a shock to my system. Today, though I have worked with some wise and kind counselors, I continue to use the safety of the wounds’ imprints to isolate from connections with my tribe and communities, to avoid further losses. This is a way people can behave around their own Chiron wounds. Though lonely in the long run, the behavior is safe. This is why we read Chiron wounds cannot be healed. I’m not a firm believer in that. My Aquarian self has hope. My personal experience may have more value to others, if I leave my cave. It’s a vicious circle of feeling strong enough to occasionally connect or isolate to protect. It is worth making an effort. Shaman Chiron’s focus, now, in Aries, can be the courageous motivation necessary for me to make some progress. It may be for you, too, in an area of life where you are challenged. wonderful wonderful article on so many levels!! Glad you are continuing to write!